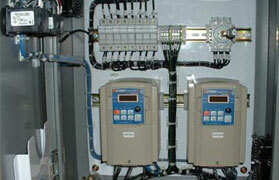 One-line diagrams are simplified block-diagrams used to represent a complex electrical system. E&S Earthing Solutions can help develop a One-line Diagram for your electrical system with electrical elements such as circuit breakers, transformers, capacitors, bus bars, and conductors shown in standardized schematic symbols. The one-line diagram is a critical component in power flow studies. When bringing in new power or when upgrading existing electrical systems, the overhead or underearth electrical supply must be evaluated to ensure the safe delivery of power to your site. 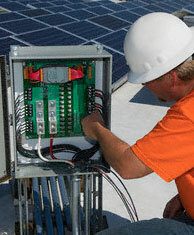 E&S Earthing Solutions specialize electrical engineering services has the expertise. 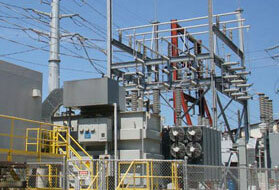 A Power Quality Study determines the fitness of electric power at your facility. This includes using sophisticated electronic measurement devices to measure the synchronization of the voltage frequency and phase, peak voltages, dips, swells, spikes, harmonics and numerous other current and voltage anomalies. The purpose is to determine if the supplied electrical power will allow the electrical systems to function in their intended manner without significant loss of performance or life. Without the proper power, an electrical device (or load) may malfunction, fail prematurely or not operate at all. E&S Earthing Solutions has a number of sophisticated electrical monitoring tools capable of measuring out to the 50th harmonic. Generator system designs can be quite complex and in certain circumstances are required by code for some types of facilities. Nursing homes, data centers, critical factory operations, and many other systems have need for standby and/or emergency generators. These systems need Automatic Transfer Switches (ATS), power command and control systems, battery back-up, and sometimes uninterruptable power supplies (UPS). The determination between using a 3-pole versus a 4-pole transfer switch can impact your existing systems and must be engineered appropriately. E&S Earthing Solutions has the expertise needed to properly design your system in accordance with NEC Article 700, 701, 702, and NFPA 110.